I have always loved Charleston. I love living here and am blessed that Otis feels the same way. Our city is beautiful and rich in history. We cannot fathom the people that constantly talk about not being able to wait to get out. I have lived here my entire life and would be perfectly happy to spend the rest of my life here. This week has been quite a week to be in charleston. We have been all over the news and faced great tragedy. It’s heartbreaking when these acts of hate and destruction happen in our country, but it is a whole new level when it happens down the street from your home. I did not personally know any of the victims, but I know people that did. I have driven right by that church thousands of times. The fact that it happened in a church also struck me in a personal way. It could’ve been any of us. 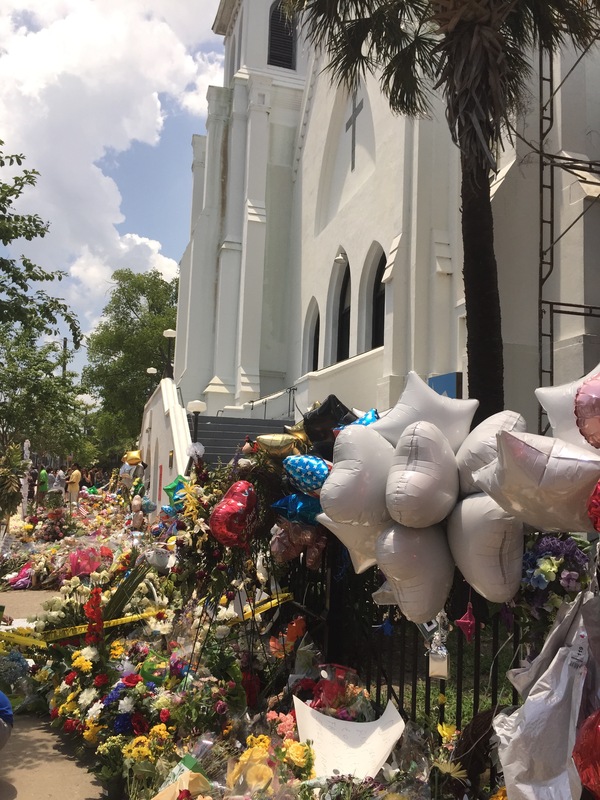 This terribly shooting has catapulted charleston into the media and all eyes were on us. I’m amazed at the outcome. I felt the heartbreak and fear as news of this event broke last Wednesday night. 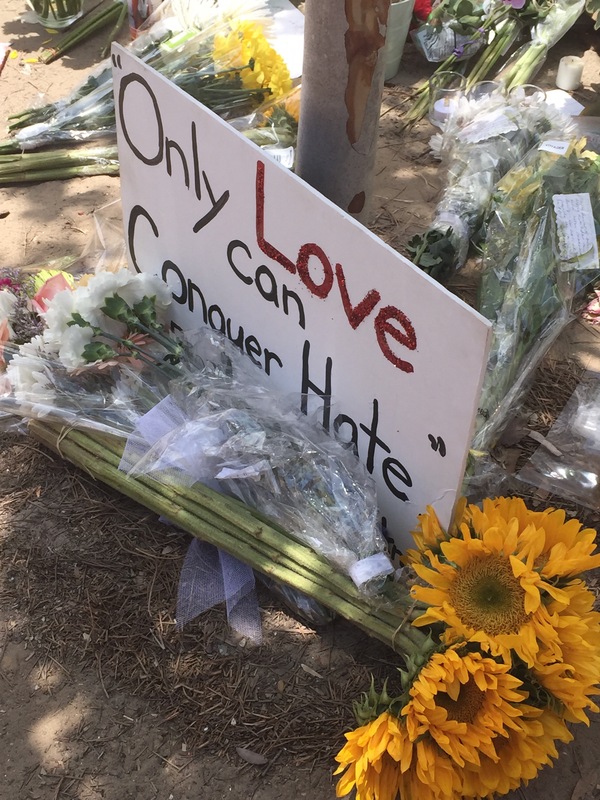 I felt anxiety when my husband talked about going downtown (I was unsure how tense the scene might be, because at that point in time they had not captured the shooter) and felt a sense of victory as it was announced that he had been captured. I had tears in my eyes as I watched the bond hearing. I listened as families told the killer that they forgave them. It gave me goosebumps. They told him that Christ could help him and change his life. Wow. I have watched firsthand as our amazing city has taken a stand united. Many amazing things have happened here. Seeing thousands of pictures fill IG from the human bridge of unity that happened on the Arthur Ravenel Bridge with the hashtag #charlestonstrong filled me with pride. To see the news reports of people standing together and hear national news sources point out that there was no rioting or looting here… draws us even closer as a city. There have been prayer circles and worship services in the middle of Marian Square. We have not been perfect. There have been a few instances of vandalism and picketing, but it has been nothing compared to the scene in other parts of the country when acts of violence have occurred. A common thing that keeps happening here is singing. There have been multiple times that hateful speech has been yelled and crowds of supporters have just started singing hymns to drown out the negativity. Love truly does drown out hate. Otis went downtown with a friend the night after this happened and spent an hour or so praying with people. No doubt people are hurting. Standing together is providing strength for our city, versus tearing it down with more violence. I took the kids down to the church this past Monday so that we could all see it with our own eyes. I explained to them that this was on the national news. They know what’s been going on. They’ve asked questions and we’ve answered. We were unsure how much Gary was hearing or paying attention to, until this conversation in the car…. Me- Gary, do you know what happened? Gary- yep, nine people got shot at a church. Me- yes, that’s right. They captured the bad guy and he is in jail now. Gary- yep….. I heard you and daddy say that. Me- ok good, so what do you think should happen now? Gary- oh, we should definitely pray! As our city is preparing for funerals of the nine victims, warnings are circulating that groups are coming to picket the services with hate filled messages. Once again our city is rallying together to drown out the negativity with love. 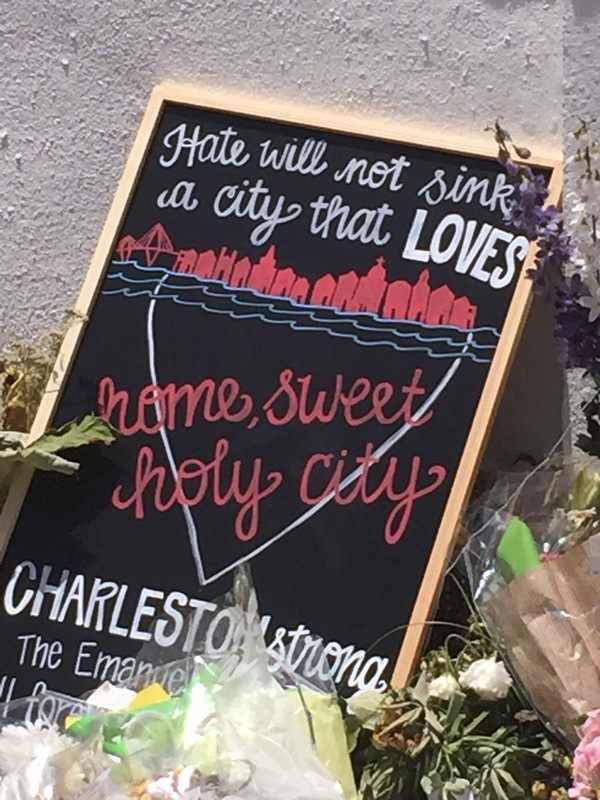 Charlestonians have organized a human wall to block the families trying to grieve from the messages of hate. The church that we attend and serve in is extremely multicultural. I have heard many people and guest speakers comment on how uncommon it is to see a church that is as diverse as ours. The Sunday after this tragedy, we held hands across the sanctuary and prayed. 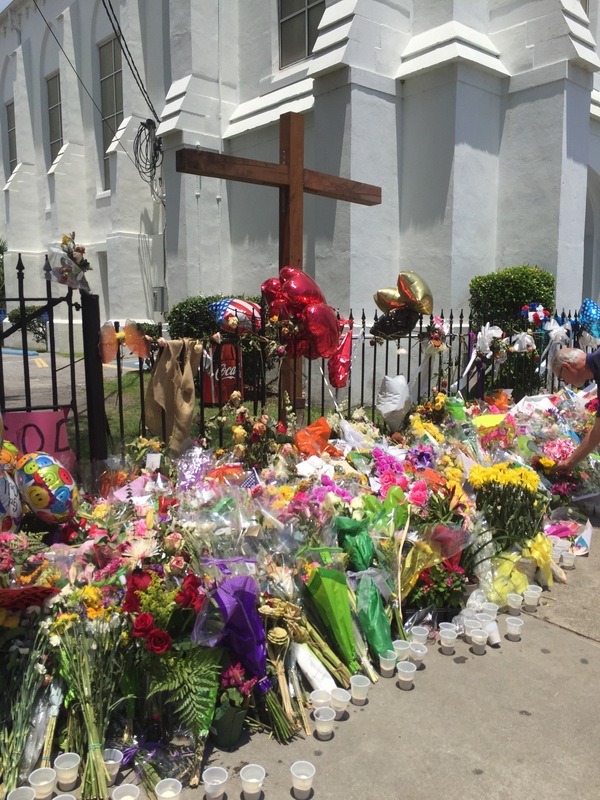 We prayed for each other, our city, and the Emmanuel AME church. I looked around during that prayer and was once again filled with pride. To see all different races and cultures united in prayer and love…..